Home Who Should Install It? 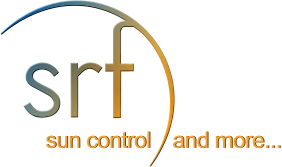 Since 1968 SRF Enterprises, Inc (DBA, Solar Solar Reflective Films) has been supplying and installing the highest quality sun control products, and specialty films available. We are the oldest installation company in the state, and one of the oldest in the country. We have done thousands of jobs on all types of residential, commercial, and industrial buildings throughout the state of Michigan, concentrated primarily in the Detroit area. We have done jobs of all sizes, from Mrs. Jones’ kitchen window, to the Blue Cross/Blue Shield building (16,000 sq.ft. ), the Bank One-Troy Financial Tower (32,000 sq.ft. of glass) and the Edison Plaza Building (82,000 sq.ft.). We are available for free cost quotations and client consultation. We show up on time, both for the Free Quotation and for the job. If we are going to be late (5 minutes or more), we call. That’s what cell phones are for! We take the time to communicate and ask questions, to determine what the client needs, to accomplish what they want. The price billed is always the price quoted. No surprises! If we mis-measure or mis-quote, we eat the mistake. We respect the property. Whether a home or a business, we take great pains to leave it as we found it, or better! We respect the person. Again, whether a home or a business, neither is a locker room. We keep the conversation amongst the workers, quiet and clean. The conversation with the client is friendly, but not prying or overly familiar. We finish the job in a timely manner. If we say it’s going to take 8 hours, we’re done in 7 and a half. We follow up every job with a THANK YOU note.